What Exactly is a SmartBox? The Target Dashboard SmartBox is a pocket sized personal computer, much like a desktop or laptop, only shrunk down to a very small size. It plugs into your wall-mounted TV, connects to the internet (wirelessly or hardwired) and connects to your Target Dashboard account. We&apos;ll help you choose which dashboard you&apos;d like to have shown in advance, so that all you need to do is plug it in - and it automatically refreshes with your changing data, in real-time, anytime, anywhere, 24x7x365. 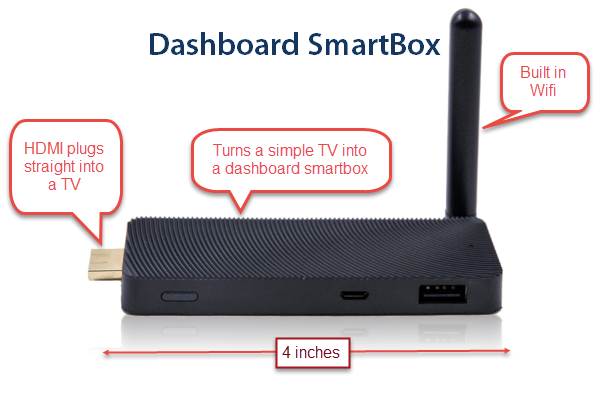 A SmartBox turns your HDTV into a real-time team dashboard that shares what you want with the people you choose. 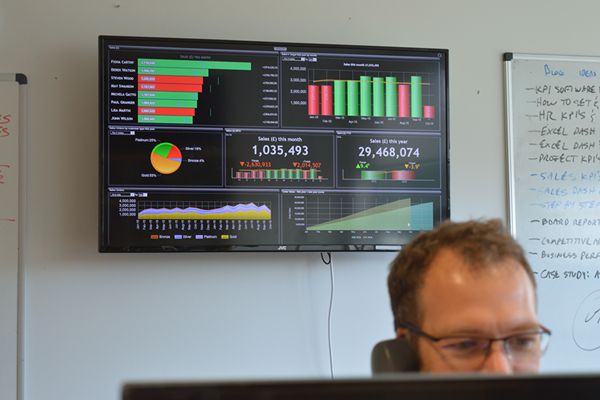 Wall-mounted dashboards are ideally suited for motivating a sales team, informing management and inspiring best efforts by fostering a competitive atmosphere. Adding wall-mounted TV dashboards takes 2 minutes, tops, thanks to the handy SmartBox. Want multiple dashboards as slideshows? Like different dashboards for each team? You&apos;ll enjoy the Target Dashboard SmartBox - we guarantee it!